Hello, I am trying to understand why so many people rant about the company. 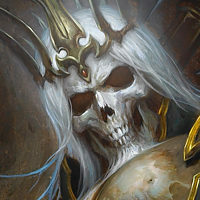 What I get so far is many people are disappointed about getting a mobile version of Diablo instead of an announcement about a Diablo 4 which is understandable! I too would like to see a new diablo game for the PC and not in my mobile phone. About season changes, the S16 is going to be well, in my eyes everyone is just getting a Pokerspike but many people claiming of new builds which I can’t find. Those builds who relied on the Ring as a legendary affix in the cube can now swapped it for another legendary ring affix in the cube right? But the build ist just the same you just get another powerspike source in term of legendary affix?!?! I might be wrong then please clear me up I’m just curious. So that’s why people are complaining about the season changes right? Because it’s nothing „new“ we just get a powerspike to run even higher grifts but the main builds are still main builds. You actually can’t create a complete new build right? I’m not a veteran that’s why I’m asking for someone who can lend me a hand and tell me wether my understanding is right or wrong. 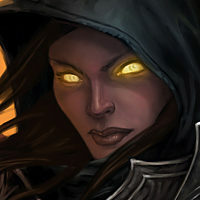 Don’t get me wrong, right now I’m enjoying playing D3. The changes are almost useless. That's why peoples are complaining about. Cultural shifts aren’t always blatant. Anyone who’s worked for a major corporation can attest to the invisible pressures that can emerge over time. And now, it's becoming visible, sadly. About D3, people are upset because there is no new content. That's just all. People have played these same builds over and over. And from time to time, buffs come, but the builds stay the same. And it's possible to make new build, but they won't be viable for the end-game because Blizzard has been pushing sets for the end-game. And those sets are forcing you to use a certain skill. It's like players have no choice at all. And this patch changed nothing. Yes, some people might experiment, because of the RoRG season, but the point stays. Sets. Your choices don't matter because the game chooses it for you. Also, another point. People are upset because when they see the content that PoE puts out, it's ridiculous compared to Diablo. Every league, GGG puts out real content, reworks different skills, puts out new skills, new mechanics, new items, new mods for items, new crafting systems etc. And every league actually feels like a fresh, new experience. It's complex. And you might argue that some people don't like complexity, and that's why they enjoy Diablo more. But the point is, PoE gets new content regardless, while Diablo doesn't. We will see what comes out of the free RoRG buff. Having a ring/cube slot freed up, people will try more different set combos, there will be more synergies coming out etcpp. The level of GRs will go up even more. I myself will play S16 after I left out S14 & 15; there has never been an easier way to grind Paragons :) I would roughly think that the end-of-season rollover to the non-season account will give me more than double the Paragon like playing only non-season for the same period. The only thing I don't really understand is why there is again such a huge power creep - only to level up to the Necro??? Don't believe.